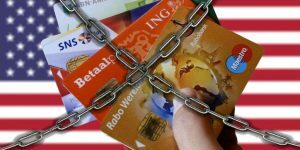 Dutch banks are obligated, starting January 2017, to report all information concerning their American clients including their SSN to the American tax authorities. What should you know and what can you do? 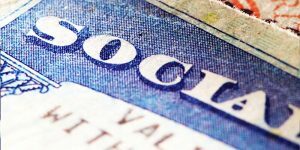 A social security number is comparable to a fiscal number in the country you reside in. In the Netherlands it is called the BSN (burger service number). 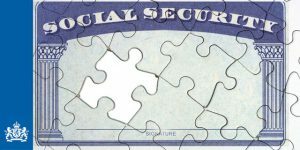 In America a U.S. person can only file with a SSN. This number can also be called a T.I.N. (Taxpayer Identification Number). The application for a SSN can sometimes take a long time to process and a lot of painstaking paperwork (we have pointed this problem out to several politicians). For more information on how to request a SSN please click here. In 2010 a new law was instituted in America called FATCA. Basically this law requires each financial institution to report all accounts from Americans in foreign countries with the threat of facing very high fines. Due to this law, banks sent letters to American clients, or clients they presumed might be American. If people confirm that they are American their information is sent directly to the American tax authorities. If a person does not react their information will be sent as well, the bank presumes then that person is American. Another part of the FATCA law requires that the bank asks all clients to list their SSN or the banks face a huge fine. More and more banks are starting to refuse people that don’t have an SSN or that won’t give it to the bank. Accounts are being closed by the banks in order to avoid problems. The Dutch banks and financial institutions have now alerted the State Secretary of Finance. They are having difficulty complying with FATCA because many people do no react to the letters and do not send their information. The banks do not want to just close accounts but they also do not want to face penalties from America, a difficult dilemma. The NVB (Nederlandse Vereniging van Banken) sent a letter to secretary of state Wiebes outlining the problems. Beginning 01-01-2017 all banks are obligated to send the required information to the IRS, the American tax authority. If the dossiers are not complete the government will be contacted a year later by the IRS. The government will then contact the bank. The bank still has to get this information but will receive extra time to get it. Therefore, there is enough time to request and receive a SSN. Each bank has their own procedures, some close accounts immediately but most have not with the exception of investment accounts. If you have received a letter advising you to fill out the forms and return them we advise you to do it. If you do not have a SSN at the time that you receive this letter you can fill out the form without the SSN and then request to get one. (Request SSN). 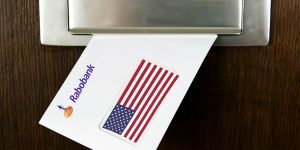 If you did not receive a letter you can inform the bank about your US status (with or without an SSN) but it is not an obligation as far as we know. We have not uncovered a law making this is an obligation that the bank or law can enforce towards the consumer. No rights can be derived from this statement because the law is too complex and banks all interpret the law differently. Note: Please make your own decision and let a US tax professional inform you. If you are not certain if you are American or have any obligations you can contact us for advise without any costs . America is the only developed country that requires US persons to file and report to the US even if you do not live or work in the US. The banks do not want to be involved on a advisory level and therefore give a limited amount of information. We advise you to organise your tax filing if you have not done it yet; more and more information is being given to the IRS in America. In most cases there are no extra taxes after filing.If you have never filed before you can do this via the so called streamlined procedure. We, American Overseas, continue to follow all developments and inform the government concerning the problems facing the consumers and institutions. You can always contact us without any costs or obligation for any questions or advise. We help Americans in Europe file their US taxes and avoid paying double taxation. We will connect you with a US tax specialist based on your situation without costs or obligation.